Well I did the stupidest thing you can imagine this week. I got duped by the best twitter hackers around! The email was a “real” twitter email. The twitter sign-in page, was a “real” twitter sign-in page. but the URL was twiller.com not twitter.com. Trust me, at 2am…..you cannot tell the difference! What does this have to do with Whiskey Glaze, absolutely nothing. The experience however, may get me to start drinking! Okay, not really, but I am still a bit surprised at how much this experience affected me. Place all ingredients in a saucepan over medium heat. Stir to combine. Bring to a boil, then reduce heat and simmer for 25 minutes. Use immediately, or store in a sealed container in the refrigerator. I have used this sauce on my Hawaiian Chicken Grillers, and Whiskey Burgers so far. I am sure it would be just as delicious on salmon, so that recipe may end up here as well! No…..I am not affiliated with Jack Daniels, or any other alcohol company! The one thing that I have learned after baking cocktail cakes for the last 8 years, you cannot use cheap alcohol! It turns bitter when it is heated or cooked, however you want to look at it. If you choose to drink the cheap stuff, that’s fine by me. If you are going to cook with it, buy the good stuff! Yum! It is sweet and sticky, with some dark notes from the Worcestershire Sauce. I have mentioned before that I do not like chunky sauces, but feel free to use sauteed onions and garlic in place of the powdered versions that I used. This Whiskey Glaze is thick, tangy, and insanely delicious! If you´re gonna be hacked at least you´re in good company with jack daniel´s, bacon and macaroni! According to my class, and having knowledge of why hackers do what they do, this type of hacking is the work of pranksters. They do it cause they can. Because it’s funny to them. 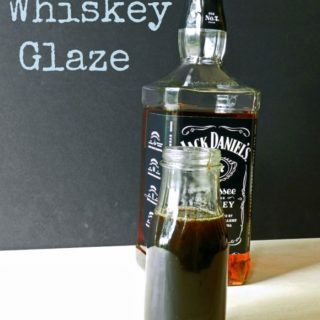 Also, whiskey glaze, yes PLEASE! You know that Jack Daniels stuff they had at Fridays (maybe they still do but I haven’t been there in a while) well, I LOVE IT. The sauce, yea, I’d dip my fries in that! I love having a new sauce to try! Sounds delicious Lisa! And darn Twitter hacks! Oh, thank you thank you thank you!!! 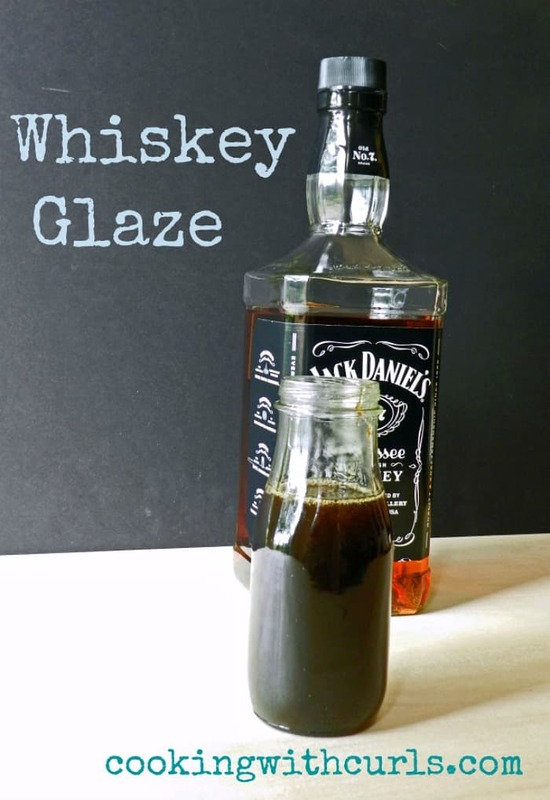 I’ve been wanting to try a whiskey glaze forever (even DID try one once and it was horrid!). This looks amazing. I’m feeling some salmon…OR STEAK coming on!! Oh yeah…STUPID HACKERS!!! I don’t understand that crap one bit. Oh, Lisa, it can happen to anyone. I hope you’ve gotten everything straightened out now. This glaze looks so very good. Just pinned it. Thanks! Having a good sauce in your cooking repertoire is a very good thing! Thank you for sharing this one! I think I stared at that picture for like 5 minutes willing the food to jump off the screen! But it didn’t happen. BOO! Definitely trying this whiskey sauce, my husband loves the Friday’s restaurant Jack Daniel’s menu, so this should be a treat! 😉 Thanks for sharing! P.S. Glad you got the twiller, I mean twitter mess hashed out! That would have wounded me as well! So glad you got the Twitter thing worked out – I cannot believe people have time for hacking nonsense. What’s the point?? This glaze looks and sounds AMAZING!!! Pinning! mmmmm…pinned to try, sounds divine! ooooo, looks good!!! Pinning it! Ohhhhh…this sounds delicious and you are too funny! Pinning! Looks so good! Pinned this one too! Following you everywhere now! Hope you have a wonderful SITS Day! Yeah, Twitter makes me want to break out the whiskey too! Sorry for your troubles, but can I say how much I am looking forward to making this glaze—pinned!